An elevated ground floor executive apartment with a garden terrace is offered for sale in the popular residential gated development of Century Wharf in Cardiff Bay close to shops, bars, the Taff Trail and excellent road links and benefits from 24 hour concierge and leisure facilities. 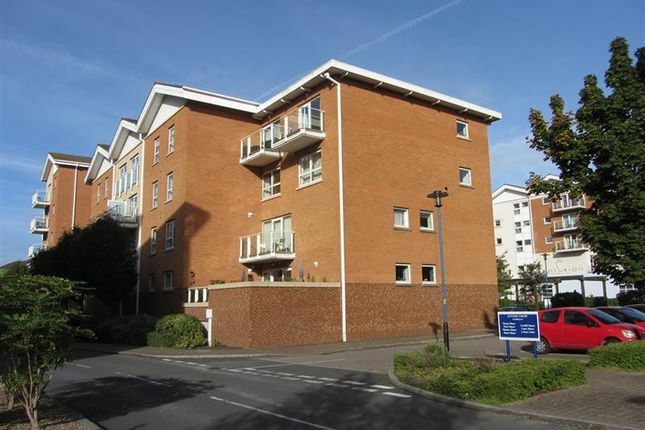 An elevated ground floor executive apartment with a garden terrace is offered for sale in the popular residential gated development of Century Wharf in Cardiff Bay. The substantial accommodation briefly comprises communal entrance, hallway with several storage cupboards, lounge/dining with doors to the terrace, separate kitchen, two double bedrooms, bathroom and an en-suite. The property benefits from electric heating and double glazing and has an undercroft parking space. The development also benefits from leisure facilities and communal gardens as well as 24 hour concierge. Double glazed window to rear aspect and further double glazed full length window to side aspect adjacent to the double glazed French doors leading to the terrace. Laminate flooring. Fitted with a matching range of base and eye level units with worktop space over. One and a half bowl stainless steel sink unit with single drainer and mixer tap. Built-in washing machine/tumble dryer and dishwasher. Space for fridge/freezer. Double glazed window to rear aspect. Tiled flooring. Three piece suite comprising double shower unit, wash hand basin and WC. Tiled surround. Tiled flooring. Fitted with three piece suite comprising panelled bath, wash hand basin and WC. Tiled splashbacks. Tiled flooring. With a paved patio and wall surround. There is an undercroft allocated parking space with gated access. 24 hour concierge service. A leisure complex including pool and gym. Communal gardens.